On a beautiful Saturday noon. 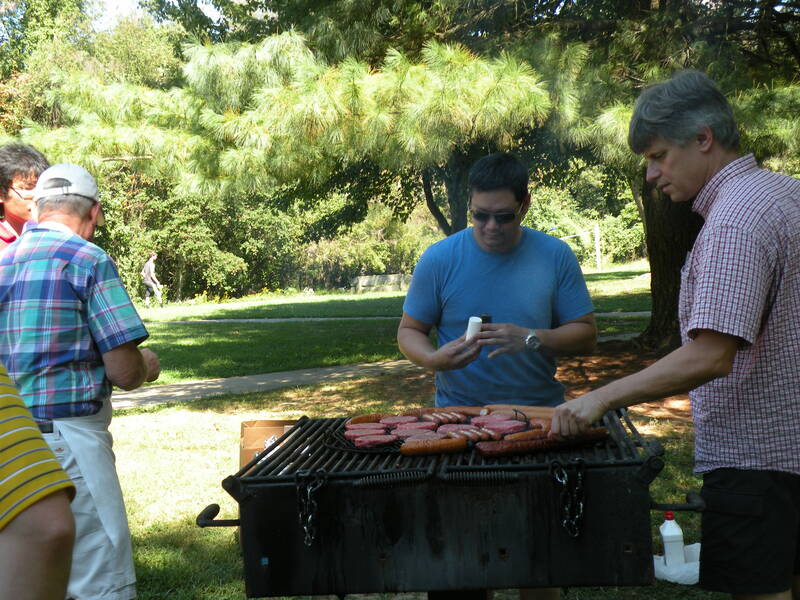 staff, faculty and students of Departmenet of Physics and Astronomy had picnic party. Time: 5:30 p.m. - 9:00p.m. 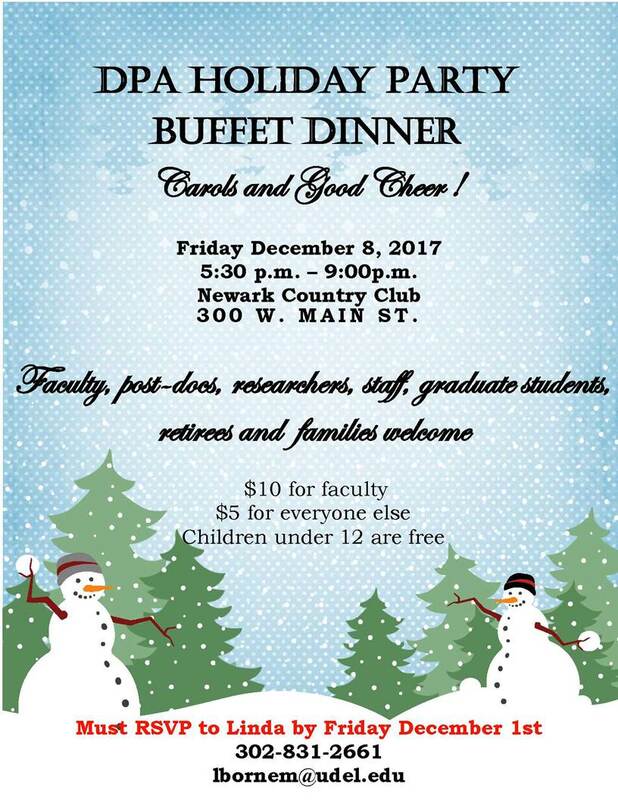 Address: Newark Country Club, 300 W. Main Street. Price: $10 for faculty, $5 for everyone else. Children under 12 are free. August 11, 2017 - In the recent Nano Letters article, Prof. Nikolic, postdoctral fellow Dr. Kapildeb Dolui, visiting graduate student Juan Manuel Marmolejo-Tejada from Colombia and DPA alumni Dr. Po-Hao Chang, together with collaborators from Denmark and Croatia, have developed new computational approach offering a unique microscopic insight into quantum states of charge and spin at topological-insulator/ferromagnetic-metal (TI/FM) interfaces. 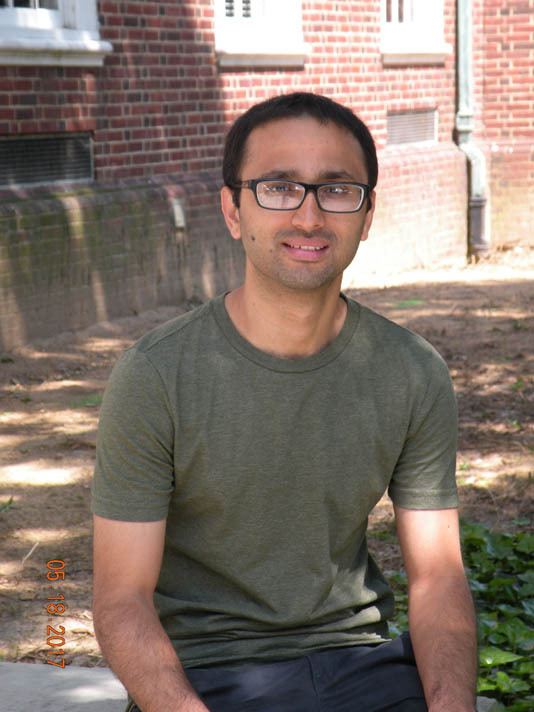 Dr. Prachanda Subedi graduated with his PhD from the University of Delaware Department of Physics and Astronomy this spring. EOS, Earth & Space Science News announced las week that he has won the 2017 Donald L. Turcotte Award from the Nonlinear Geophysics Focus Group of the American Geophysical Union. 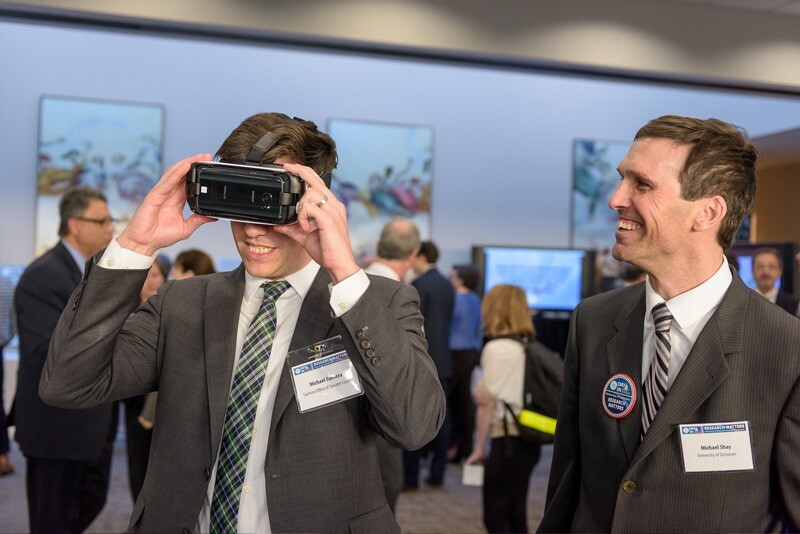 March 16, 2017 - From the heliosphere to the inner workings of the human brain, the richness of human culture, the way we get and consume energy and the all-fronts assault on disease, disorders, the effects of traumatic injury and human suffering, research at the University of Delaware touches life at just about every global address. For a few hours Wednesday, a sample of that broad expanse of work was on display in the Hart Senate Office Building.